Proficient barcode maker for retail business and inventory control print and design more numbers of wonderful business barcodes with few mouse clicks suitable with the help of all major versions of Windows Operating System like, Windows server 2008, Windows Vista, Windows 7, Windows XP, Windows server 2003 . Barcode maker software provides an opportunity to craft new brand retail barcodes by using barcode scanner and printer in generalized way. Retail business and inventory control barcode creator utility generates attractive retail and inventory barcode labels by using advanced color, printing and font setting. Expert barcode design for inventory control and Retail business easily provides an option to maintain large numbers of products and records in efficient way. Proficient barcode maker for retail business and inventory control can be easily used in every type of retail industries either it is small or large. 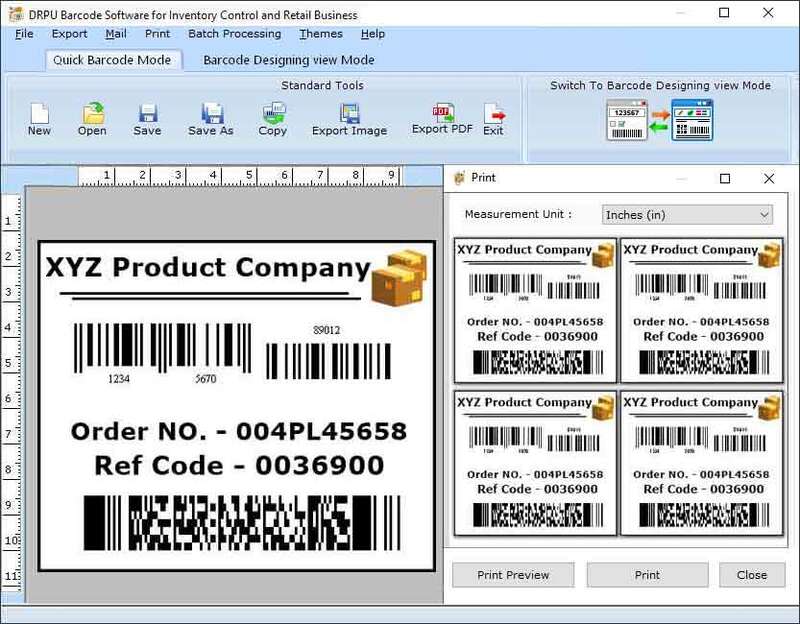 Affordable barcode creator software is fully capable to generate customized, printable and scan able business barcodes labels in accurate way by using image creating tools including star, barcode, text, pencil, arc, triangle, ellipse, rectangle and many more with few clicks of mouse in very short time. *Retail inventory tracking barcode maker software is simple and easy to operate. * Professional barcode design for inventory control and Retail business does not need any technical skills to operate the program.